What Is the Salesforce AppExchange? The Salesforce AppExchange is Salesforce.com's complete marketplace for everything cloud computing––this includes cloud applications and consulting services. End-users are able to use the Salesforce AppExchange to access, download, and install apps. The Salesforce AppExchange offers both free and paid apps for users. Apps and services are organized into collections within the marketplace, based on categories and industry solutions that encompass a variety of fields. This includes apps and services catered toward small business, customer service, education, manufacturing, and real estate. The marketplace itself was launched by Salesforce.com in 2005, with the Salesforce AppExchange website becoming the first public directory of its kind. In order for an app or service to become publicly available to potential customers, the company that created the app or service must be a Salesforce partner. For software buyers looking on the Salesforce AppExchange, plenty of well-known software vendors offer apps and services that can be accessed or purchased via the marketplace. What Is a Salesforce AppExchange Tool? Any application or service listed on the Salesforce AppExchange should be represented in our Salesforce AppExchange Tools category. The products within this category represent software or service products, listed in a variety of categories across our site, that offer a solution that is available on the Salesforce AppExchange itself. How Does the Salesforce AppExchange Work? The Salesforce AppExchange is full of third-party apps that run on the Force.com platform. This means that every creative app developed for this marketplace is made specifically for a Salesforce user. The AppExchange gives developers and users a central place to create, publish, or install apps and extensions to Salesforce. The process of creating an app for this marketplace starts with a Salesforce user creating a custom object, tab, or set of dashboards and/or reports that is helpful for businesses. From there, customers can then share their unique customizations with other Salesforce users as an app or extension. The next step is for a Salesforce customer to register and publish an app on the Salesforce AppExchange. Customers are also able to create a demo of their apps, allowing for others to see the what it has to offer before installing. Once a Salesforce admin is convinced an app will improve business, they can choose to install an app published to the AppExchange. Installing a published app from AppExchange is easy and safe––from there, access can be given to the group of your choosing and you are off to the races! Who Can Use the AppExchange? Literally anyone. The general public can browse and demo AppExchange listings at their leisure. However, in order to have permission to install AppExchange apps, Salesforce admins and other users need the “Download AppExchange packages" permission. Similarly, a user must have both “Create AppExchange packages" and “Upload AppExchange packages" permissions to publish an app on the AppExchange. Salesforce AppExchange Tools reviews by real, verified users. Find unbiased ratings on user satisfaction, features, and price based on the most reviews available anywhere. The enterprise social network for your company. Get the missing features for Gmail or Outlook. 250,000 professionals use Cirrus Insight in Gmail or Outlook to track email and attachment opens, create personalized email templates, send email drip campaigns, set follow-up reminders, and schedule three times more meetings with customers. Cirrus Insight also offers world-class Salesforce integration. We get it. You work in your inbox to connect with customers. You need all the tools to close a deal in one place. Connect with leads, set up warming campaigns, schedule meetings and track attachments all from your inbox. With our Salesforce api, there’s no more leaving your inbox to log information into Salesforce. No one likes busy work. Which is why you don’t login to Salesforce or keep it up to date. You’re staying busy talking with customers and closing deals. Now you can see and update Salesforce as you work. Regardless of which email client you use, you can automatically sync emails and appointments to Salesforce, track email opens, set follow up reminders, create and update Salesforce records like leads, contacts, and opportunities, schedule sales calls, and more. Save time, be more productive. Flight Plans is the premier solution for building personalized outreach communications at scale. Build a timeline of emails, calls, and to-do items for your Flight Plan, then add prospects to the campaign that’s the best fit for them. As prospects travel on their customer journey, you respond to their emails, make real calls, and create a relationship. We’ll be there for you every step of the way so that you get the most out of the Cirrus Insight platform by providing the type of service that has earned us over 1,000 five star reviews on the Salesforce AppExchange. Try Cirrus Insight free for 14 days. #1 Sales Engagement Platform for Salesforce & Gmail Users. Groove helps managers, reps, and operations sell smarter and increase revenue by as much as 25%. Our solution empowers the entire sales organization to plan and execute personalized outreach at scale with targeted campaigns, engage top accounts with smart account based sales features, and drive productivity using actionable analytics. We power 40,000+ sales reps from leading companies like Google, Prezi, Slack, HotSchedules, and many more. Features include: ✔ Two-way integration between Salesforce, Gmail and Google Calendar ✔ Email open, click tracking & send later ✔ Create, edit & enrich any SFDC object ✔ Automated email sequencing TWO-WAY SALESFORCE INTEGRATION: Keep your Salesforce records current without leaving your Gmail account and Google Calendar. Quickly update records and log call notes right from the Groove sidebar. GMAIL & GOOGLE CALENDAR SYNC: Gmail and Google Calendar Integration for Salesforce made easy. With Groove's automatic sync, reps save time by eliminating manual data entry, and you never have to wonder if your Salesforce records are up-to-date. IT'S EASY, INTUITIVE, AND FAST: An intuitive interface combined with a Gmail sidebar and mobile add-on means you don’t have to change the way you work — Groove fits into your natural workflow. VIEW SALESFORCE RECORDS: Always have the account info you need -- right alongside your Gmail and Google Calendar. View and update opportunities and cases, and even create new leads, contacts, and accounts right from the Groove sidebar. CONFIGURABLE VIEW: Every team works differently. Customize which Salesforce fields and objects display in the Groove sidebar for each team within your sales organization. TRUSTED BY THE BEST: Highest rated Gmail and Google Calendar integration for Salesforce on the AppExchange and G2Crowd. Trusted by 40,000+ sales reps from leading companies like Google, Prezi, Slack and HotSchedules. SmartCloud Connect is #1 Enterprise Class solution that brings Salesforce right to your Inbox and Calendar; it is highly customizable and allows you to synchronize emails, meetings and tasks between your CRM and Office 365, Outlook, Gmail. Using its contextual sidebar you can see and edit everything you need about leads, contacts, opportunities and other custom objects right from your Inbox. We enable businesses to do all their daily tasks in single-window environment right in Inbox without leaving native communication environment – Outlook / Office 365 / Outlook Web Access and Gmail Invisible for Windows and Mac. We also make sure that all of your CRM Data is always up-to-date. As part of Invisible.io, SmartCloud Connect brings over a decade of experience in engineering products to increase user adoption and ROI of enterprise applications, without leaving the native environments where they use to operate. We aspire to make every customer interaction successful. Every email, every meeting, and every presentation should be amazing. ClearSlide provides a complete Sales Engagement Platform that combines content management, integrated communications, engagement analytics, and guided selling to power dynamic engagement with buyers and maximize your existing CRM investment. ClearSlide customers achieve higher seller productivity, increased sales management effectiveness, and stronger customer-facing messaging. ClearSlide customers report: 10%-20% increase in closed deals 25% decrease in time to on-board new reps 50%-80% reduction in selling costs Sales Productivity An intuitive, integrated Sales Engagement Platform – with content, communications, and analytics at your fingertips to guide next step actions. Leader Effectiveness Powerful Engagement Quadrant Dashboards in ClearSlide and CRM improve deal visibility, coaching, and stronger forecasting and business results. Content Impact Recommend and promote content, providing reps the right content and tools at every point in the sales cycle. Refine and optimize messaging based on direct customer engagement and feedback. - Combine buy-side and sell-side contract management with interfaces built specifically for Legal and their most frequent collaborator – Sales - Give back time to legal and other departments with easy to manage CLM features designed specifically for each department’s needs - Provide your Legal team with a system created specifically for them, while keeping other departments’ primary systems, such as CPQ, CRM and ERP solutions, up-to-date - For Salesforce users, Conga offers advanced capabilities with seamless UI integration, redlining and comprehensive contract management entirely within the Salesforce platform - Full flexibility to store and easily find all your contracts in Salesforce, Conga Novatus, Box, Dropbox, or other systems - Quickly create professional error-free contracts, regardless of length or complexity, customized with rich text and images - Keep a safe and secure cloud based repository for all legal approved clauses in our Clause library - Bundle commonly used clauses together in clause bundles to speed up contract creation and ensure corresponding clauses are always included. - Control which users have access to which clauses and contracts based on user permissions - Automatically route approvals based on workflow rules saving time and involving appropriate parties at the appropriate time. With Conga Composer and Conga Collaborate (formerly Octiv), transform your document generation and create processes that connect all parts of your business. Gain the power to generate accurate, beautifully designed digital documents — both traditional and web-based. Share them and collaborate online to optimize customer engagement. That time you felt flat-footed on a sales call because your prospect brought something up that you hadn't anticipated... yeah, that wasn't fun and we felt your pain. Dooly's real-time playbook engine keeps your conversations as sharp and on-point as the buyer you talk to, matching their every move with sales tools that answer even their toughest questions. While we're at it, we thought we'd sneak in a bonus for you; removing the burdens associated with updating Salesforce, sharing your notes with others and panicking about pipeline updates. Dooly’s got your back so your focus remains on what matters most—winning over your customers. We built Dooly with you in mind. Your freedom to sell awaits → dooly.ai. Great user adoption doesn't just happen! The Salesforce Adoption Dashboards provide visibility to relevant user login history & trending, adoption of key features such as accounts & opportunities, and critical sales and marketing productivity enhancers. Conga Grid gives your business a more productive workforce and creates data insights that drive growth. Conga Grid gives you a dynamic view of your Salesforce data. View, filter, and act on all relevant data from a single screen. Save time, clicks, and achieve cleaner data. Datahug is a sales optimization solution that enables sales teams to increase sales velocity, reduce pipeline risk and abolish forecast calls by capturing and analyzing all of your sales activity automatically from email, calendar, and CRM. Leading companies like Optimizely, Coupa, Instructure, Lyft and Nitro use Datahug to forecast with 95% accuracy and increase win rates by an average of 21%. PFL specializes in tactile marketing, truly personalized and triggered direct mail programs that deliver a tangible competitive advantage. More than new delivery channel, PFL helps you break through the noise of digital only experiences, to reach the attention and consideration of your target account buyers. In a world where people are subject to as much as 10,000 impressions per day, PFL clients see 40% response rates, rising effectiveness across all channels, and higher quality deals filling their pipelines. Core products: Tactile Marketing Automation® - Seamlessly integrated with your marketing automation platform, today you can trigger the send of personalized letters, collateral and dimensional pieces as easy as sending an email. SwagIQ® - Today, your sales team can gain competitive advantage at any stage of the sales cycle, from door busting, reigniting stalled deals, to customer appreciation. SwagIQ integrates directly to your CRM and enables your sales team trigger an engaging impression when they need it most. Personal Marketing Center® - Sales and Marketing teams are united under one platform to empower field reps to personalize, manage and execute their own local marketing. PFL is a Montana born and raised marketing technology company, headquartered just north of Yellowstone National Park. For more than 20 years we’ve served leading sales and marketing organization around the globe, providing sales enablement and marketing automation solutions, as well as printing, mailing and fulfillment services. Our cutting edge solutions blend physical, digital and data driven experiences that accelerate productivity and drive business forward. Skuid was founded in 2013 on the simple belief that enterprise apps should stop forcing people to behave like machines. Instead, apps should behave more like the humans who use them, so everyone can thrive in the digital world. With Skuid’s simple-to-use but incredibly robust cloud UX platform, anyone can connect to disparate data sources and assemble highly complex, beautiful, bespoke applications without writing code. More than 5 million users across 32 countries use Skuid to engage with each other, with data, and with new customers in meaningful ways. 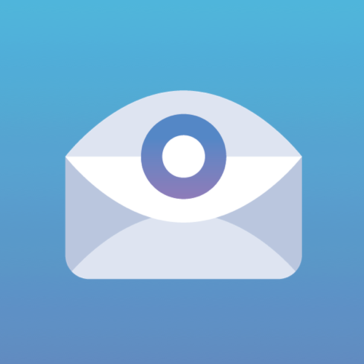 Yesware is an email productivity software for Gmail, Outlook, and Office 365 inboxes that helps over 800,000 users to send smarter, faster emails through tracking analytics and time-saving tools that scale personalized messaging. Yesware has the capability to sync engagement data to Salesforce, eliminating the need for manual email and calendar event logging, so users can spend more time on what matters. Chargent is the leading payment solution on the Salesforce AppExchange for credit card, eCheck and recurring billing. Chargent puts you in control of your payments, managing everything 100% natively in Salesforce, so you can capture revenue faster, eliminate duplicate data entry, and improve order and invoicing processes. Chargent includes connections to 30+ payment gateways, such as CyberSource, Authorize.net, PayPal and Stripe, as well as integrations to accounting systems such as FinancialForce and Accounting Seed. Trusted by millions of users since 2009, Chargent's parent company AppFrontier LLC is headquartered in San Francisco. LevelJump is the sales enablement and readiness solution that reduces ramp time of new sales hires and proves impact on revenue by attributing sales enablement programs, training and coaching to metrics in Salesforce Sales Cloud®. - Quick and easy program builder inside Salesforce - Video coaching rooms + just-in-time coaching tips directly in reps workflow - Automated program metrics tied to sales process + revenue in Salesforce - ROI reporting that proves Sales Enablement Manager success Our team has extensive expertise in sales onboarding, training, enablement, and Salesforce, delivering superior customer service and innovative product development aligned with how sales reps and Sales Enablement Managers work every day. OrgChartPlus is a natively built Salesforce application. With quick and easy installation, the plug and play app creates org charts to visualise your customer organisations, profile contacts, target stakeholders and align the right people in your business with theirs. With full integration, changes made to contacts within OrgChartPlus are automatically updated in Salesforce and vice versa. Charts can be exported and shared using a number of different means and applications; Print, PNG, Word, PowerPoint and Excel. Through parameterisation, OCP can be tailored to fit your world. Whether it's the methodology, terminology, images, fields or permissions, our experienced team of technical consultants are on hand to ensure OCP works for you. Our specifically designed dashboards and reports give the business line of sight into accounts, relationships and application adoption. This added insight ensures management not only have the ability to review account and opportunity relationships with their sales team, but to coach and manage where needed. Your one stop shop for GREAT example dashboards. Includes dashboards for Executives, Reps, Sales, Support and more. Checkout the Details Tab for more information. TaskRay: More Than Project Management TaskRay helps businesses onboard customers faster and more efficiently. By using TaskRay’s templating and automation functions high tech, SaaS, Wealth Management, Manufacturing, and Franchising businesses can build systems that scale whether they have 100 customers or 10,000 customers. -TaskRay is built on the Salesforce Platform to enable seamless customer onboarding right in Salesforce Sales Cloud ® as well as other Salesforce Clouds such as FSC, Service Cloud, HSC, and more. -Get an overview of key customer onboarding metrics and health with robust reporting and dashboards. -Utilize built in templates and automation tools to onboard customers & clients more quickly and efficiently and consistently. -Decrease your customer’s time to implement your solution and increase your retention and customer satisfaction. AppBuddy is the leading provider of business process interaction platforms, delivering innovative applications that work the way users work and reach across business silos to provide exceptional customer experiences and integrated business process efficiency. We believe in empowering everyone to be happy in their work by making how they connect with their data an illuminating experience. Mapview provides field sales and service reps with a mobile mapping and planning tool to efficiently plan and manage their territories. It helps strategically improve your daily schedule by mapping appointments and drop-in visits as a route, along with contacts and any other location-specific data. - Plan trips and optimize your daily routes with drop-in visits and calendar appointments. Easily re-route to respond to schedule changes! - Visualize your territory and travel routes to help locate opportunities along the way. Use color-coding and marker styles to prioritize and organize accounts. - Target specific customers and prospects by filtering groups on the map. Create custom filter options from any column in a spreadsheet! - Manage your customer interactions all within the app by sending emails, taking notes, viewing websites and setting up meetings. - Utilize even when offline by accessing saved information, routes, directions and target map area. Roll up any information in Salesforce with clicks and not code. With Rollup Helper, you can roll-up any Salesforce data: Count, sum, max, min, average, percent, lookups, text, formula, and multi-currency roll-ups. Roll-up more data! Rollup Helper brings real-time data to your fingertips. Whether your data is in a standard or custom object, or is part of a Salesforce or AppExchange app, you now have the tool you need to get real-time, actionable data for your process- even for your most complex roll-up scenarios. Since Rollup Helper is not restricted with requiring a Master/Detail relationship between objects, roll-up summary fields in Salesforce are a breeze. Rollup Helper also doesn't count against your Rollup-Summary Field limits! Use Rollup Helper to create data roll-ups that will provide insights you could never have before. All data stays safe and secure in your org. With absolutely no coding required, this is an amazing accelerator for your admins, business analysts, and developers. Rollup Helper supports lookups, rolling-date based roll-ups, cross object filters and roll-ups, formulas, and hierarchies. Easily create custom rollup filters that allow you to segment data to fit your needs, whether they are simple or complex. Upgrade to Rollup Helper Premium Edition for unlimited rollups and priority support! Volunteers for Salesforce helps manage your volunteer events and people. It manages volunteers, jobs, shifts, and hours, allowing you to track and report on all of the data as well as allow public signups via Sites pages on your website. Apsona for Salesforce is an add-on application for salesforce.com available through AppExchange. Its feature set includes everything you would want for managing your data, and is built to enable you to get your work done with the least possible effort. Evercontact intelligently scans your incoming email & auto-enriches contact details in your address book and CRM. PandaDoc is the complete digital document solution, designed for efficiency. Create, send, track, and eSign documents -- all from one intuitive and easy-to-use platform. Supercharge your CRM with our PandaDoc integrations. PandaDoc is an ideal platform for managing organizational documents including proposals, quotes, contracts, HR documents, and more. Create media-rich documents with a single click. Access completed documents from inside the platform at any time. Our clients are consistently reporting on average: 15% higher value per closed contract 30% higher close rates 50% less busy work 100% accuracy & compliance Other features include: Electronic signatures Document insights Seamless editing Templates Workflow automation Content management Configure Price Quote (CPQ) For more information and full product features, visit us at www.pandadoc.com. ConnectLeader provides sales acceleration technologies for all types of sales roles to increase their top line revenue by increasing productivity from 10% to 800%. Our Intelligent Sales Acceleration platform gives sales, lead generation, and marketing teams powerful tools to identify the right prospects, obtain accurate contact data, and enable accelerated communication using our sales connectivity optimization and lead nurturing solutions. Beware; one size does not fit all! Successful business lead generation programs require different sales acceleration tools for different sales roles - our platform provides all of them. Engage leads systematically across multiple communication modes and increase velocity at the top of the funnel while implementing your strategy at scale. TruCadence® does this and more, unlike any other sales cadence solution on the market. The patented cloud-based technology is built on the Adaptilytics® predictive intelligence engine, which identifies and prioritizes prospect lists ensuring your best sales leads are contacted first. Adaptilytics self-learns by analyzing more than 5 billion data points. For sales teams that want to enrich and improve CRM database ‘on-the-fly’, our Data Genie® delivers accurate contact data and intelligence from third party data sources directly to your CRM system. Your invoices are already in Salesforce, however scattered across customers and sales records. So invoicing should simply involve automatically piecing these parts together, without re-keying a thing. This is what Invoices for Salesforce does. Simple ! OpDots is an at-a-glance data visualization that enables you to see real-time status of Sales, IT and CSR cases in full context. The Salesforce native RealZips app provides instant Zip codes and business GeoData. Analytics and workflows: sales territory management, web-to-lead, lead assignment & ownership alignment and predictive analytics. MassMailer is the best solution to eliminate Salesforce email limitations for sending Mass Emails via mass Email Wizard or Campaigns. You can also Send Mass Stay-in-Touch emails to request updated contact information from the contacts without any Salesforce email limitations. The simplest, easiest, and fastest way to send mass emails from within Salesforce Track email statistics - click through, opens, bounces, invalids, etc. Keep track of which email templates perform better and optimize your emailing. Choose to send Email Now or Schedule for Later. ParentFixer insures when a Salesforce CRM parent account is merged with another account, all of the children accounts are re-parented to the master account in the merge. PhoneBurner is a Power Dialer and Sales Accelleration platform for sales teams of all sizes. Our cloud-based software helps sales agents increase calls, callbacks and live conversations up to 400% - by automating time-consuming processes and post-call workflows. Dialing. Emailing. Contact Management. Lead Distribution. Reporting. It's all here. Powering millions of calls for thousands of clients every month. Available to try for free, without a credit card. - Power dial up to 80 contacts per hour - No connection delays. Period. - Nothing to install. Start dialing in minutes. - Drop voicemails in one click (no waiting for the beep) - Send one click emails based on all resutls - Track email opens, link clicks, & attachment views - Manage, tag, categorize, sort leads with ease - Custom disposition sets automate pipeline management - Record calls - Transfer calls - Get advanced reporting and agent analytics - Dial from local area codes with Local ID - Retarget leads with ads around the web, Facebook, and Twitter - Automatically and intelligently distribute leads to your team Use our included CRM or integrate with Salesforce, Hubspot, Zapier, or custom integrations through our API. Survey Force (Lightning Ready) allows you to create, send, and capture customer feedback natively in salesforce.com. Auctions for Salesforce 4.11 (March 2016) helps staff manage all the information related to an auction. It tracks tickets, sponsorships, donations, the bundling of donations into auction items, purchases, and handles Check In & Check Out at the event. Set up automated rules that determine when users should stop following records. Each night, Rules remove everyone following the records that meet your criteria. Easy-to-use, modern eSignature solution built for Salesforce users. Speed up contract execution, save time, and reduce costs, while making it easy for companies to do business with you. Find, merge and prevent duplicates in your Salesforce. Duplicate Check finds duplicates, prevents duplicate records and cleans your Salesforce from duplicate records. No more duplicate records in your Salesforce organization! - Fuzzy Matching finds duplicates caused by misspellings, typos and different formatting - Mass Deduplication will find all duplicates, presenting it in a clear report which allows you to merge manually ot automatically later. - Duplicate Prevention - a number of advanced features prevents duplicates in your system. Duplicate Check for Salesforce is highly customizable and able to perform fully automated deduplication jobs—have a report ready at any chosen moment. Data transfer is not needed in order to cleanse your data. The application is quick and easy to use. If needed, a dedicated support team is at your disposal with a response time within 24 hours. Hi there! Can I help you find the best Salesforce AppExchange Tools solutions?